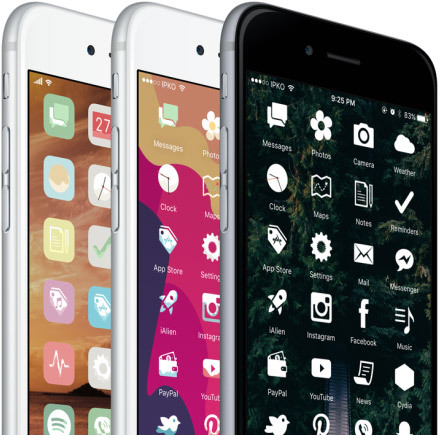 If you happen to be running a jailbroken iPhone, iPad or iPod touch, then the chances are that you have dabbled into theming that device with one of the many fantastic themes available via an array of repositories. The entire purpose of jailbreaking an iOS device for some is to change that stock look and to change things up as per preference, and occasionally change it up again. Having a plethora of themes is simply brilliant but there are just so many, that there’s a great chance that you haven’t managed to find the right theme for your device just yet, or have been put off by the thousands of amateur, slapdash pieces of work that are out there. 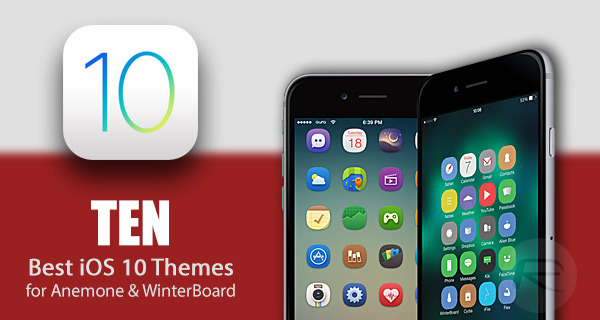 Thankfully, we are going to run you through some of the most comprehensive and professional themes that are compatible to work with iOS 10 – 10.2 jailbreak. It’s important to note that this list does not necessary mention some of the more well known options, such as Ayeris and Muze 2, as we already covered them previously when iOS 9 jailbreak was released. You can find those options here. This list instead focuses on some of the more underrated themes that may not necessary have been updated to work with iOS 10, but still happen to work just fine on iOS 10. Seasoned jailbreakers would already be aware of this one critical requirement, but just in case you’re new to this, you will need to have either Anemone or WinterBoard installed from Cydia on your jailbroken device in order to get these themes to work. All themes listed here support both the theming platforms. Personally, we prefer Anemone as it’s light on resources and also officially supports iOS 10, unlike WinterBoard which will works on iOS 10 but hasn’t been updated with full official support on that firmware. 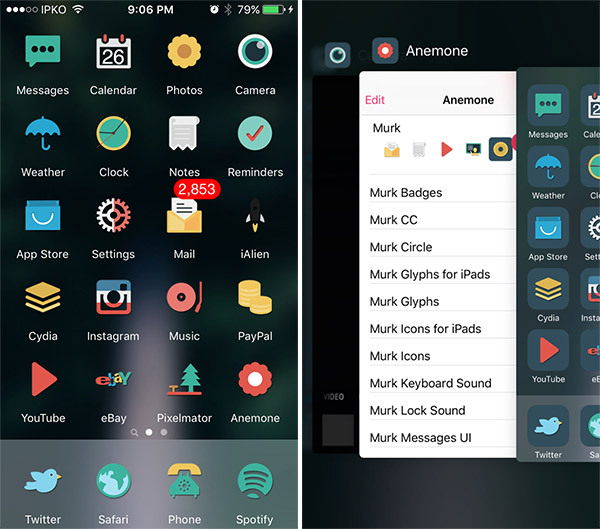 So without further ado, here are the hottest iOS 10 compatible themes for Anemone and WinterBoard that can be grabbed from Cydia right now. A simply beautiful and elegant theme that takes its inspiration from the transition colors of a flower. 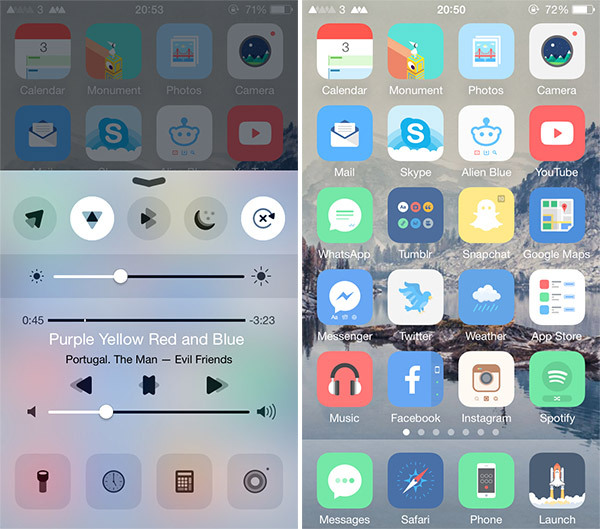 This may be a gradient-based theme, but is nothing like you’ve seen before. It can be downloaded from the ZodTTD & MacCiti repository on Cydia and is entirely free-of-charge. Indigo is one of the most complete themes out there, and therefore commands a $2.49 commercial price-tag on the ZodTTD & MacCiti repository in Cydia. The install comes with more than 180 individually crafted icons, as well as 20-plus alternative icons. There are also preference icons, status bar themes, and two different Control Center options to choose from. Quada is inspired by Google’s Material Design language. It features 300 icons, supports iOS 7, iOS 8, iOS 9 and has been tested to be working on iOS 10 as well, both on iPhones and iPads. One important thing to note here is that it works with Anemone only, not WinterBoard. It is available as a $1.99 download from the ZodTTD & MacCiti repository. The third iteration of the Jelly theme is here, and trust us, it’s a good one. Jelly 3 offers 400-plus white and normal colored glyphs, as well as 3 different icon styles to suit all tastes. There are lock sounds, Messages UI, and much, much more. All of this for free directly from the artist’s repository: donisign.yourepo.com/. Kecil is an extensive, and unbelievably eye-pleasing piece of work. It costs $2 and comes in three variants, featuring over 600 themed icons. You can grab Kecil from the artist’s repository: colbyroark.yourepo.com/. There’s a free demo version of the theme too which is available to download from the same repository. This is the true definition of a minimalist, pastel-themed piece of work. There are over 140 icons, 2 icon masks, a Control Center theme, as well as a status bar theme and much more. Pebbli is a commercial package, available for $1.50 from the ZodTTD & MacCiti repository. To say this theme is professional and stunning isn’t really coming anywhere close to doing it justice. This is just pure simplicity and beauty. There are a staggering 700 icons that simply take the elegance of an iOS device and enhance it further. A commercial purchase, and rightly so, for $2.49 from ZodTTD & MacCiti. Enlightened is a glyph-based theme for iOS. The theme features folder icons, UI-style badges, and a dark and light theme for both moods. Free-of-charge download from ZodTTD & MacCiti repo on Cydia. Primo is this particular artist’s first ever icon-based theme that includes 3 icon sets, 10 variants of badge style, and more than 400 individual icons created for each set that the theme ships with. 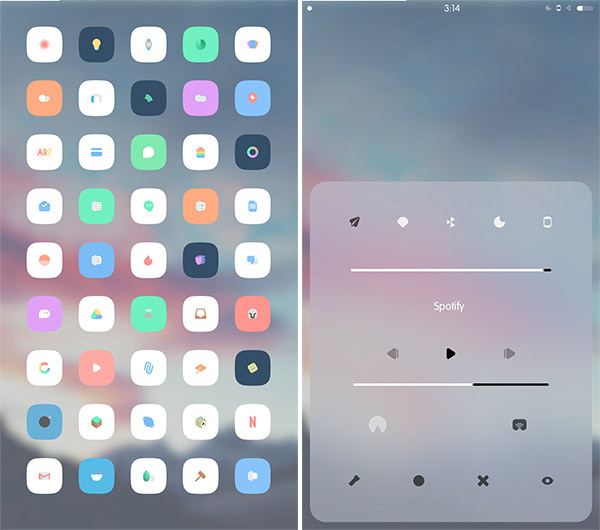 You can grab it for $4.50 from BigBoss repo on Cydia and this purchase will include two other themes from same developer, namely Primo iOS 10 and Primo Ombra. This a beautiful theme for those iOS device owners who prefer to have their devices live on the dark side. There are 220 icons, a stunning Control Center UI, as well as keyboard sounds and two different mask themes. 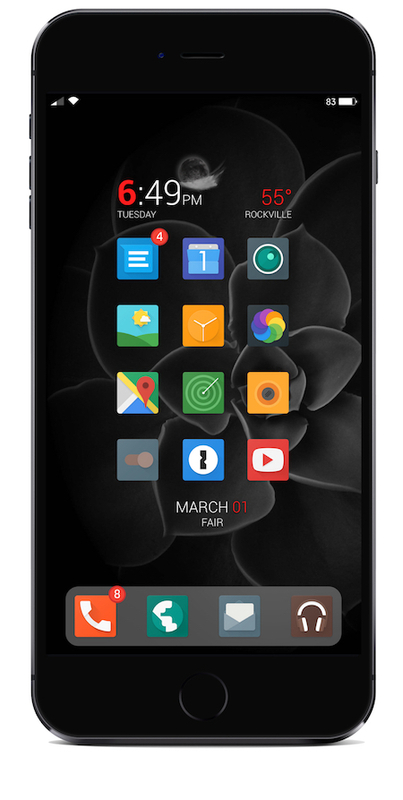 A $2.49 purchase from ZodTTD & MacCiti, or free for those who purchased the original Murk theme. That’s about it, well for now at least. 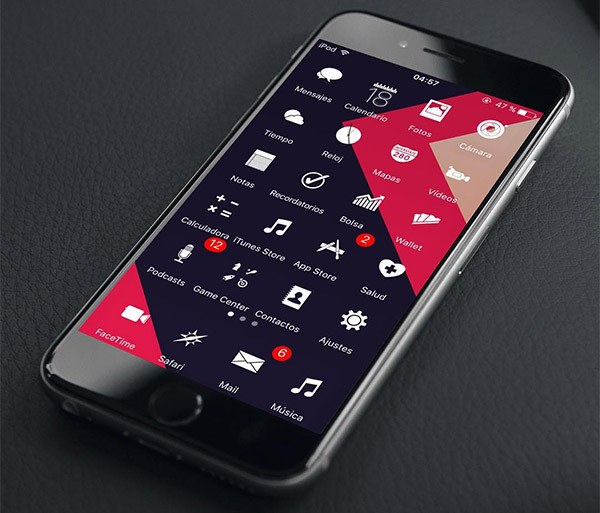 If you have know of any new and exciting iOS 10 compatible themes, do let us know in the comments section below. I’m running 9.3.2 and I downloaded Winterboard 0.9.3919 along with the theme Enlightened IOS 9 which looks awesome, but it appears that it is not working for me. Any suggestions? Am I waiting for an updated Winterboard or am I doing something wrong? I have just installed both Winterboard and Anemone and thus far only using the latter. I remember Winterboard being a bit clunky and with its current ‘partially working’ status I’m reluctant to apply my theme with this tool (got all my tweaks running sweat and I don’t want to screw it up!). 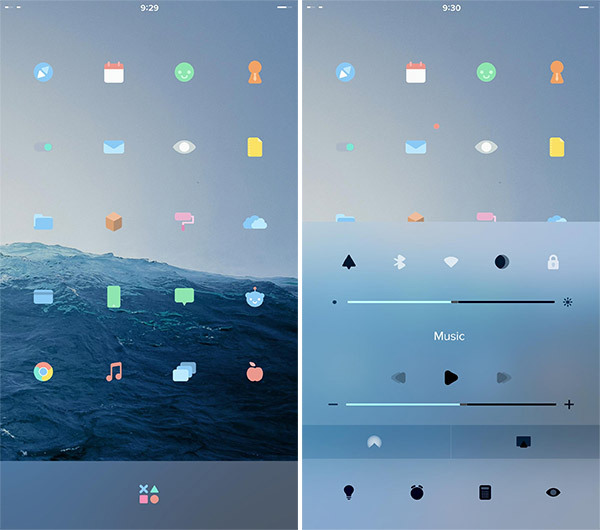 Try Anemone if you haven’t already. 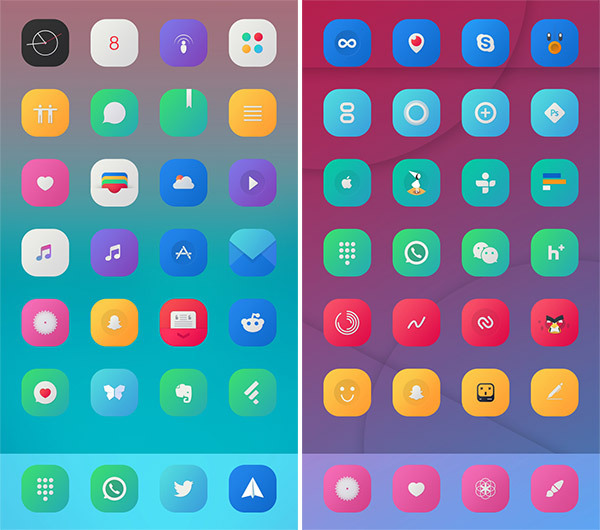 All these things are Nice but they are flat where can we find themes that are like IOS 6 icons that work iOS 9.3.3.